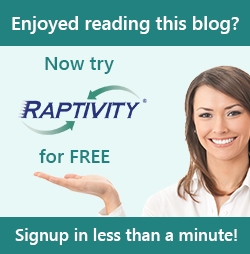 Raptivity - Rapid Interactivity Building Tool: Should you attend the ElNet webinar on Raptivity? As we all know, ElNet organizes plenty of webinars on elearning and mlearning for its members, a national network for individual professionals from the eLearning industry. This specific webinar would dwell completely on Mobile Learning. Many of us fear adapting mobile learning as a normal course for dissemination of education. There are numerous questions on the how, what and why of mobile learning. When you seek to get these answered, you have to browse through different resources which is again taxing on your time and infrastructure. So, Team Raptivity with ElNet has organized this webinar especially to cater the curiosity of mobile learning enthusiasts and deferred adaptors. Date & Time - 11th August 2012, 10:00 AM - 11:00 AM AEST. This session would introduce you to the ever-changing world of smart phones with varied screen sizes and technologies like Flash® and HTML5. The speaker, Jamaica Bracken would also reflect on the various challenges a learning professional faces while developing mlearning content. Solutions to overcome the roadblocks will be explored followed by an interactive Q&A session. Enroll yourself for this special webinar by registering at the ElNet events page. Do hurry as seats are limited.